14 March 2019: This article explores modernization and its economic, social, and spatial effects on the places in which we live. This suggests the question: What do we mean by the term “modern”? Just about every man or woman of prominence who ever lived thought of themselves as moderneven though they may have lived before things like indoor plumbing or motorized transport or vaccines to prevent disease, much less space travel or the internet. How many of you own a cell phone? Ten years ago they barely existed, and your parents certainly didn’t grow up with them. You listen to different music than your parents; you dance differently than your parents; most likely, you are more open-minded than your parents. That’s natural because you are exposed to more ideas. In your mind, you are more modern than they are. So what does it mean to be modern? In my opinion, it means that we embrace change, but not just any change. We embrace change that is dynamic, change that looks to the future, change that aims at making our lives better and the world better. I think most of us are here at the university to make better lives for ourselves and our families, our cities, our country, and our world. I think one of the defining characteristics of the modern world, of modernization, is that we plan. Not just one entity planning, like the state, but every person, every business, every government, every organization planning its future. It’s not a coincidence than design has become important in recent years, whether it’s the design of consumer products like the cell phone or individual buildings or urban neighborhoods. Design is future-oriented. It tries to solve particular problems, real problems. Planning and designing to solve problems at all levels are wired into our brains, and that, in my opinion, is a key characteristic of being modern. In the United States, generally, there is the attitude that economic, social, and spatial change will happen in an urban or rural area whether or not it is desired. The advantage of planning is that areas can anticipate these changes and guide development to the best of their capacities. This article, I hope, will give you a sense of how spatial planning and development in the US is both a response to modernization and a creator of modernization. It will look at: the critical role local governments in the US play in modernization; how spatial planning and development supports intense competition between municipalities but also innovation in housing, public infrastructure, tourism, transport, and other areas, which helps propel economic growth. It will examine some of the spatial trends of modernization that seem to be appearing in most industrialized nations, not only the US, and how spatial planners might prepare themselves to address these challenges. And, finally, the article deals with the strategic economic development framework that almost all local governments in the US use to respond to modernization and to try to lay the foundation for long-term economic prosperity. Spatial planning and development in the US is almost exclusively concerned with maintaining strong local economies, with creating and retaining local jobs, with providing a good standard of living for individuals. In spatial planning and development in the US, support for local economic growth is primary; everything else is secondary - sustainability, efficient land use, social equity, aesthetics, and so on, are all considered in terms of their potential impact on economic growth. Spatial planning and development in the US is quite different from Europe in many regards. One of the biggest differences between planning in the US and Europe is that spatial planning and development in the US is almost exclusively a local government responsibility. Spatial planning and development does not happen in a vacuum, of course. It is part of a whole socio-economic environment. Federal government policies on taxation, workers’ rights, property rights, etc. impose limits on what can be done. But the local government context is extremely important for understanding modernization in the US. The United States has 50 states, and within each state there are many fully independent local governments. There are more than 51,000 local governments in the US, in the form of counties, cities, towns, and villages. With 51,000 local governments, the US has one of the densest concentrations of local governments of any country in the world. And each local government has significant power and authority. The US constitution gives major responsibilities, not only to the federal government, but also to the individual states. The individual states, in turn, delegate major responsibilities to local governments to provide services, regulate activities, and collect taxes. Service provision, of course, is the most visible responsibility, and local governments provide such services as police and public safety, public health, education to the university level, transport, economic development, and spatial planning. Local governments have considerable authority to decide how the services they provide will be regulated. Hydrofracking provides an example of how spatial planning is regulated at the local level. Hydrofracking is a way of extracting natural gas from shale rock in the ground. In the Pennsylvania and other states, some municipalities approved hydrofracking because they wanted jobs and tax revenues from the hydrofracking industry. Other cities did not approve hydrofracking and did not share in the tax revenues, but suffered many of the negative effects of hydrofracking, such as heavy truck traffic, which destroyed roads and contamination of the drinking water supply and minor earthquakes. This happens because there is no national spatial planning law in the United State. Nor does the federal government regulate spatial planning and development. Local governments regulate the planning and development of land, and they plan infrastructure improvements, such as roads, water lines, sewers, airports, and neighborhood regeneration, and with no state or federal government oversight. In most cases, there is no state or federal government scrutiny of local spatial plans and development regulations for consistency with those of neighboring local governments, and no right of appeal for those disadvantaged by a neighboring local government’s development decisions. In Europe, generally, national governments are much more involved in municipalities and retain important regulatory powers over local governments. Regarding regulations, it is also important to know that America’s 50 states can exercise their powers in distinct ways. Labor, taxation, spatial planning, and other laws may be very different in one state than another. This means local governments within a state’s boundaries may operate in the same way, but when you cross the state border, the rules change, and cities in another state may operate very differently. For example, municipalities in one state may be required to produce municipal spatial plans and municipal zoning regulations, but cities in another state may have no such requirement. After a hurricane two years ago, many people in Europe were surprised to learn that Houstonone of the largest cities in Americahad no zoning regulations to manage the use of land. Almost all land in American urban areas is privately-owned, not publicly-owned. People in Houston can build whatever they want wherever they want on the land they own. Many people built in areas with a high risk of flooding, and this greatly increased the amount of hurricane damage in the city. This is very different from much of Europe, where the rules governing what the cities can and cannot do are the same throughout a nation, the same throughout Netherlands or the same for all cities throughout Albania, for example. American cities can be remarkably different as you go from state to state, and they all have a level of autonomy that is unknown in Europe. Local governments in the US have tremendous powers and tremendous authority to use those powers, but they also have to pay for the services they provide. Most local government revenues come from local property taxes. According to the US Census Bureau, on average, 12 percent of local government revenues come from sales taxes, a kind of value-added tax; 12 percent come from other sources, such as transfers from higher levels of government and land salesand 76 percent of local government revenues come from local property taxes. Property taxes are based on the market value of property, both land and buildings; that is, how much it can sell for on the open market. In other words, the more valuable a property is, the more taxes the property owner pays to the local government, and thus the more revenue the local government receives to pay for services like schools and police and transport. Local governments also have the power to lower property taxes for new economic developments. What this means is that state and local governments, in order to have enough money to pay the bills, in order to survive, must stimulate spatial development within their borders. They do this by competing with one another. The tremendous power and autonomy of local and state governments allow them to differentiate themselves from one anotherin particular, to say why they provide the best opportunities for development, why they have the best “business climate”and then try to take advantage of whatever difference they have been able to make. Visitors coming to the US for the first time from other countries and viewing local media are often struck by the way in which local economic development is an obsession. Considerable content of television programming, newspapers, and community-oriented websites is comprised of stories about what local governments and local businesses are doing to improve the local economy, to bring jobs, to make the city grow. The movements of local business leaders are followed as if they were sports stars. When new corporations are formed, they are often listed in the newspaper. The lives of entrepreneurs receive the same intense focus as the lives of movie stars. The media follow what schools, nonprofits, and other nonbusiness organizations are doing to contribute to the local economy. The local economy is regularly compared to other local economiesits competition. And, of course, anytime a business expands and creates new jobs, it gets lots of attention in the media. Every city is trying to attract major private businesses. Since all other cities are engaged in these attempts to attract the same businesses and the same types of investment, there is a strong sense of competition for these public and private investments. New manufacturing facilities will be fought over by different states and different cities. Even within the same region, municipalities will compete for developments like a major new shopping center. Smaller cities will try to attract businesses that will supply components for the new manufacturing facility. And if they can’t get new business, they will try for a major investment from a higher level of government, such as a prison paid for by the state or national government. Just about any development is acceptable as long as it produces jobs for local residents and tax revenues for the local government. In Europe, this competition among cities seems much less apparent. Instead, the major role in the development of local economies is played by the central government. Departments of the central government try to influence the locations of businesses and decide, for example, where public offices or highways or other public investment should go, all with minimal local input. In much of Europe, my sense is that local spatial planning is about creating urban areas that are safe, comfortable, and beautiful for residents. Local economic growth is important, but secondary. In the US, a good deal of spatial planning, not just land use zoning, but projections of new highways, water, and sewer line extensions, are intended to stimulate local economic development. If the city becomes more beautiful in the process, that is fine, but it’s not the primary objective of spatial planning. Specifically, spatial planning is intended to reduce costs for developers, so developers will build more. That’s what spatial planning has become in the US: support for local economic development. However, even though local economic development initiatives may be supported and financed by the local government, there is no assurance that they will produce the desired benefits. I’d like to give you a brief case study. 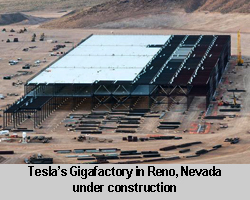 Over the summer (3 July 2018), the Guardian newspaper published an article on the impact of a new and massive battery-producing factory for Tesla near the city of Reno, Nevada (population 200,000). Tesla is the company that makes electric cars. Tesla has manufactured very few cars, and the company has made little money, but it’s managed to attract billions of dollars of investment. An electric vehicle stores the electricity it generates in a battery. Tesla decided it wanted to manufacture its own batteries rather than buy them from another manufacturer. For that, it needed a place to make to the batteries. Cities in the US competed to be the home of that factory and the thousands of high-paying jobs Tesla said it would produce. The city of Reno and the state of Nevada won the competition by offering $1.4 billion in financial incentives, including property tax reductions. The Guardian article looks at the impact of the new factory. It attracted technical workers who are highly-paid. They needed housing, which increased the cost of apartments and homes in Reno. They have children who go to local schools. This means local schools have to be expanded and new ones built. The highly-paid technical workers are doing well. But many of the original residents are not. Rising housing prices mean that many of them are now forced to rent a single roomthey can no longer afford an apartmentor sleep in the streets. Meanwhile, the huge tax incentives given to Tesla$1.4 billionhave affected the city’s ability to afford adequate public services, particularly schools, which don’t have enough money to properly educate their students. This general sequence of events is not unusual in the US: financial incentives are offered to businesses to locate in a particular city, which then has negative consequences. The hydrofracking boom, which we briefly discussed, is another well-publicized instance. Hydrofracking has brought jobs to areas that needed jobs, but also contaminated drinking water supplies. Not too many years ago, Atlantic City, New Jersey (population 40,000) had a similar experience. It was a small, distressed city that wanted to modernize. New Jersey became the second state after Nevada to legalize gambling, and offered huge financial incentives to attract gambling casinos to Atlantic City. The casinos, it was hoped, would create abundant jobs and tax revenues. New Jersey didn’t foresee that neighboring states would also approve gambling and the number of competing casinos would proliferate. Now, many of the casinos in Atlantic City are bankrupt and closed, the city government never got the revenues that were projected from casino gambling, and people are unemployed. Recently, US cities competed very publicly for the second headquarters of Amazonthe online retailerfor which huge financial incentives were offered. Now that the “winners” have been selected by AmazonNew York City and suburban Washington, DCdebate has begun in those areas about the long-term impacts and whether benefits will truly outweigh the costs. It’s important to note that this process plays out on all scales in the US. Municipalities compete for both large and small developments. For example, two neighboring municipalities may compete for a new office park or mixed-use center by offering new roads, zoning changes, or tax reductions. Even neighborhoods within the same municipality often will compete with one another for a particular development. What might be some alternatives to this way of spatial planning and development? One alternative might be to stimulate the growth of existing small local businesses instead of trying to attract big new outside investment. This kind of economic development requires investments in education and job training at all levels, along with the establishment of supports like business incubators. This type of development also requires patience because it can take many, many years to see the benefits of this approach. Unfortunately, it often requires too much patience for many mayors and other municipal officials in the US, who are elected for two- or four-year terms and want to see results while they are in office. In fact, this type of economic development has been quite successful in many US citiesbut it doesn’t stop competition. Once a city has succeeded in nurturing successful small businesses and producing educated residents, another city may try to attract these successful businesses and educated workers with financial incentives. But it’s not easy for many businesses to relocate, especially if they have only one location, or for many people to move. Another alternative is more central government control. Many central governments in Europe, for example, attempt to intervene in the location process. Often, they attempt to steer investments and employment into areas of high unemployment by targeting new physical infrastructure for private development to these areas or using central government purchasing power to ensure the survival of struggling industries like shipbuilding or coal mining. Such policies would seem to have a high potential for success in the US because there is widespread uneven development. I think we all know about the extreme side-by-side contrasts of poverty and wealth, deprivation and opulence, that often exist in US cities. But uneven development in the US affects not only large urban areas. Much of the low-skill manufacturing that once supported small cities has moved away. In rural areas, large industrial-scale agricultural business has reduced farm employment. The shopping districts in small cities are suffering and not just because the surrounding rural population is going down; e-commercepeople buying on the Internet rather than from storesis forcing a lot of traditional retailers to close. Not too many years ago, a major employer might leave a city, and the city would struggle for a number of years. But then the people who lived there would eventually come to accept lower wages, and the cost of housing would go down because there was little demand for it. The area would then once again be attractive for certain businesses, and a certain level of investment would return. But that was years ago. This kind of cycle repeats itself far less frequently today than previously. In the US, there is a long history of national government initiatives aimed at alleviating geographically uneven development. But in practice, they have all failed. They failed because each member of the US Congress represents a particular local government or part of a local government, and each member want his or her own district to be part of any regional planning and development program, even if it is against the goals of the entire program. A typical and historical example was called Model Cities, a federal government program to promote the development of areas of persistent high unemployment. The program provided grants for physical infrastructure, job training programs, and low-interest loans to businesses willing to establish operations in eligible areas. When the program was designed, it was intended to be limited to areas of very high unemployment in only 10 cities. During the legislative review process, members of Congress changed the rules so that their districts would be included. By the time the program was approved, the majority of the US population lived in the areas eligible for funds, and the program failed. In Britain, on the other hand, enterprise zones, which give substantial public funds to distressed cities to alleviate poverty and make development less uneven within a region, have been generally successful. In Britain, there are currently 24 enterprise zones (though expansion of the number of zones is proposed), but, to illustrate how things work in the US, the state of Ohio, with one-sixth the population of Britain and less than one-half the land area, has 363 enterprise zones. And Ohio is just one of fifty states. To give another example, the 2017 tax reform law in the US created 8,700 so-called Opportunity Zones where real estate developers can get preferential tax treatment for new construction or renovations that double the value of a building. The sheer number of opportunity zones virtually ensures that private developers will benefit financially, federal tax collections will share little of the benefit, and there will be little impact on uneven development. I don’t hold much hope for any serious regional policy or regional planning in the US. Again, what happened in the case study for Tesla we discussed in not unusual. It is how the system works. Many scholars offer carefully thought-out alternatives for more fair and less costly approaches to local spatial planning and development, but the current system in the US it is not going to change soon. The intense interest of US local governments in spatial development, their willingness to lower costs for developers by building infrastructure for them and decreasing regulations, makes sense only in terms of the effectiveness of these actions in raising property values. A retail center, for example, increases the value of the land on which it stands and so increases the potential property taxes a municipality might receive. A similar logic attaches to a business center or a new housing development. It is for these reasons that local governments strongly support most proposals for spatial development, as well as compete with other local governments to capture such development by offering to provide more infrastructure and more zoning changes and more tax relief than other local governments. And this logic largely explains the famous low-density, sprawl development patterns in the US, the process by which people and businesses and schools and other services move farther and farther to the periphery of cities, a process with virtually no legal limits to urban growth. Such low-density cities, based on motor vehicle travel, are immense sources of profit. There are important interests with a stake in sprawl and its continuation. For example, auto manufacturers, as well as petrol companies, are uniformly against proposals for shifting resources away from road construction, to the provision of public transport, or to an increase in the petrol price that might discourage driving. The auto manufacturers have important supporters. Auto production is a huge employer in the US. It is a propulsive sector of the entire economy because of the demands it makes on other industriesglass, rubber, plastic, aluminum, steel, and so onand the secondary effects it has on, for example, those who repair automobiles, the concrete suppliers who depend on highway construction and maintenance, and the insurance industry which insures against injury, damage, and theft. The automobile industry is part of the basic foundation of the entire American economy and can always call on a vast amount of support at the slightest challenge to the way Americans currently move around and, therefore, plan and develop their cities. Sprawl is an immense source of profit, but, not everyone wins when local governments compete for people and businesses and when there are virtually no limits to urban growth. As people moved to the periphery, so too did employment and retailing. This created serious problems for the old retailing and business cores of cities. America’s built geography is characterized by various distributions of advantage and disadvantage. Some areas gain, others gain less, some gain nothing at all, and others may lose everything. One of the clear winners is developers. Developers everywhere in the world take risks when they build. There’s rarely any guarantee they will sell or rent their product for the price they need to make a profit. But the American state provides a structure of opportunities that is particularly suited to the needs of developers: local governments have almost complete control over planning and development permitting within their borders; there is no national or provincial oversight to the extent found in many other countries; there are virtually no limits to urban growth; and local governments are anxious to support developers because they have bills to pay. Moreover, to advance their careers mayors and local elected officials need successes, and new spatial developments provide them. Mayors and local officials get to cut ribbons or have their photos taken in front of the new building that, they hope, will signal a community that is progressing, that is modernizing. The public, and especially property owners, are very active participants in the spatial development process in the US. Generally, people support just about anything that has the potential to raise the value of their property and lower property taxes. This way of thinking that privileges spatial development and its supposed benefits is part of an ideology in America, an ethos, which, if you live in Europe, has to be experienced to be believed. It is a major preoccupation of the local media; local newspapers and television stations love to cover ribbon cuttings, and the new shopping center or business center or industrial building is presented as something progressive and modern and thus desirable. So it’s not surprising that this type of spatial development is common in the US. Clearly, spatial development is inefficient in the US. More land is used than is necessary, and it’s expensive for local governments to build and maintain the quantities of roads, sewers, and other facilities that are needed to support low-density development. But the competition for development does have benefits. Private-sector developers are forced to innovate. Developers need a constant stream of renters and buyers for their products. They compete not only with other developers for new buyers, but also with buyers who bought earlier rounds of property and are now looking to sell. So developers are constantly creating new forms of development targeted to specific segments of the real estate markethousing for the wealthy, poor, healthy, disabled, people with children, people without children; flexible space that can be used for offices or factories or warehouses, office space that can rented by the day; business incubators; various configurations of shopping, recreational, and health care facilities; energy-efficient space; smart homes; tiny homes; shared housing; and on and on. The competition for development and the new forms of development that come from that competition also cause local governments to innovate. They must constantly examine their development regulations and tax and spending policies to make sure they can support the new options for development. Zoning regulations, for example, may have to be revised to accommodate new development options that perhaps didn’t even exist a few years previously. Municipalities may have to adjust their services to the needs of new niches of residents and workers. This need to keep policies current and responsive sometimes leads to problems like the Tesla case study we saw, but often it can help build the capacity and flexibility of local governments to deliver services. Also, low-density, sprawl developmentthe majority of new developmenthelps keeps the price of housing relatively low in most American metro areas. It has made the US a nation of homeowners, even as it increases other living costs, such as transport. Most people need a car to get to work. There is an expression in America, “no car, no job”. If two people in a family work, then usually they need two cars; if three people work, three cars are needed, and so on. It’s fairly easy for most Americans to move farther out in the periphery where housing in newer and cheaper, but then they usually have to drive more. When the cost per square meter of housing is cheaper, people usually buy bigger houses. Bigger houses have more rooms, so people need to buy more furniture and household appliances and so on. In fact, in my opinion, without the continual pressure for more and more peripheral developmentand more cars, bigger houses, and more indoor and outdoor household furnishings, etc.it is hard to imagine the very high level of consumption characteristic of America. So there is good and bad in spatial planning and development in the US: it is often inefficient and costly compared to the more compact development patterns common in Europe, but it also hugely propels consumption and employment. Obviously, a focus of US spatial planners is to get more of the good in their cities and less of the bad, but it’s difficult balance on a regional scale because, most often, one city wins only if another city loses, and, often, one city wins and many cities lose. I’ve tried to explain spatial planning and development in the US, in part by showing how very different the response to modernization is in Europe. I think the biggest difference is the extreme decentralization of powers from national to local governments in US. In much of Europe, spatial planning and development policies seem more top-down, more intentional, and more concerned with balanced growth. Regardless of the system of spatial planning and development, the forces of modernization seem to be having similar effects on spatial organization in many industrialized nations. In terms of employment and rates of investment, new areas, new cities, new regions are growing, and new ones are declining, which injects sharp antagonisms into the spatial and social fabric. So what are some of the more widespread effects of modernization in Europe and, perhaps, in just about all of the industrialized world? Modernization seems to privilege metropolitan areas with large populations. Most very large cities, and, especially, capital cities, are getting larger in size and population and grander. We are also seeing a return of immense projects and plans, such as CrossRail in London and Grand Paris in Paris. In the US, people and jobs are migrating at the highest rates not only to the very biggest cities but also to metropolitan areas with a population of around 2.5 million. All other areas are generally growing much slower or not at all. Uneven development is a big and growing problem within all metro areas in all countries, regardless of size. There can be big socioeconomic differences over small distances, and people in each area will experience life differently. With the US form of capitalism, it seems that economic growth and balanced development are not compatible; more growth means more uneven development, and less growth means your city is not competitive with other cities for jobs and investment. Population distribution is an important consideration, as well as population size. In countries like Belgium, France, the Netherlands or the United Kingdom, for example, a city of around 30,000 or more people is never far away, so commuting to and from a big city or between smaller cities is not a big challenge. A city of 30,000 has decent economic potential. It could plausibly attract, let’s say, a distribution center for Amazon or revive around the growth of an existing manufacturer or be attractive to retirees or provide lower-cost housing to those working in a nearby big city. In the US and some other countries, these economically more-viable cities are typically far more spread out across the country. The distances between small cities can be hundreds of kilometers with rural land between. It’s a massive challenge to revitalize such place once employment begins to decline. I don’t think anyone really knows what a regional policy for these “left behind” cities and regions would look like. What are some of the other effects of modernization, which seem to becoming more widespread in the industrialized world? Urban neighborhoods are being viewed as important financial assets. When people buy or rent housing, they buy or rent the attributes of particular neighborhoods, and these attributes are important to them. People are willing to pay more for houses that have access to open space, little traffic, good schools, that are relatively quiet, have high levels of public safety, and so on. Good neighborhoods are recognized as providing both local governments and property owners with financial advantages. Private property is more valuable to owners by virtue of, among other things, their neighborhood attributes. And local governments, where property taxes are based on value, get more taxes. A growing number of people in Europe, like the US, also seem to prefer neighborhoods which are exclusively residential, without significant commercial or industrial uses, and are willing to pay a lot of money to live in these areas. This seems especially true as incomes rise. There is also a rapidly-growing movement by local governments to capture some of the value generated by public investments. In other words, if a public investment in, for example, a new road or water line or green space causes the value of adjacent private property to rise, then the municipality should be able to take some of that value and use it for public improvements. Municipalities around the world are implementing such techniques as betterment fees, special improvement districts, intensity bonuses, transfer of development rights, and tax increment financing to capture some of the increases in private land values caused by public investments. They are using value-capture instruments on a wide and growing scale. Citizen involvement is increasing. In fact, people are demanding it. As people become more interested in protecting the value of their property and the value of their neighborhood, they become more interested in spatial planning, and, in particular, using it to try to prevent what might threaten their property values and their way of life. Given the opportunity, people, as individuals or coalitions, will become very active participants in the spatial planning initiatives of local governments. The role of spatial planning is evolving. We live in a time when change is rapid if not constant, when shifts in investment and shifts in population sometimes seem unmanageable. For example, from my experience, spatial planners are expected to solve a lot more social problems than just a few years agothings like reducing crime, mitigating traffic problems, providing parking in built-up areas, and filling vacant storefronts and buildings. I think the biggest change in recent years is that spatial planners now spend a lot of time speaking with developers and negotiating with developers about land sales and regulations and development options, and this is very different from just ten or so years ago. Spatial planners are expected to help sort out investor concerns, and this means that spatial planners really need a whole new set of skills. Spatial planners need a detailed understanding of local real estate markets. Very often it’s difficult to unravel all the legal, political, social, and economic forces in a city. They interact with one another in complex ways. But they all converge in the real estate market, the property market. Understanding the real estate market, in my opinion, is a shortcut to understanding the impact of all of these other forces, and, equally important, perhaps being able to harness them to the benefit of your city. Real estate markets define access to, for example, good or bad schools, public safety, traffic congestion, or open space. Real estate markets mediate the flow of resources and people between different neighborhoods in a municipality and between municipalities within a region. Real estate markets, in large measure, help people position themselves in society. More and more frequently, all or some of the money to finance large projects comes from international banks or investors. Understanding the local real estate market becomes a shortcut to understanding how the local and global economies work and are connected, how they are modernizing. And this seems to be true whether we are talking about nations with a deregulated economy like the US where people are expected to take care of themselves or nations that take more direct care of their people like in much of Europe. More and more money flows internationally, and global investors look for places where they can get good returns on their investment. More and more, global investors rate the investment potential of cities on the quality of their governance. They look at such things as the municipality’s ability to tax, its ability to support business enterprises and human capital, its ability to involve the public in decision-making, and, very important, its ability to plan for economic opportunity. How do American cities think about economic opportunity and plan for it? That’s another way of asking, how do American cities confront modernization? We saw that spatial planning in the US is expected to support job growth and attract investment in the form of spatial development. The reasons are quite basic: new jobs give local residents income and stability, and new development and redevelopment pay most of a municipality’s bills. But spatial planning is only one part of a larger way of thinking and planning for economic growth. And planning for economic growth, like spatial planning, is primarily a local government responsibility. There are many, many analyses of local economic development strategies in US cities. What is striking is that nearly all of the local strategies are based, conceptually and instrumentally, on one or more of five major components. These are the fundamental building blocks of local economic development in the US. Municipalities adopt these components to the best of their abilities and capacities. This is the current way of thinking, the current ethos, about local economic development in the US. According to this way of thinking, any city in the US that incorporates these five components in its planning will have a good chance of retaining and attracting jobs and investment and will establish a flexible framework to deal with future change. The current “groupthink” in the US is that this is a strategy capable of responding to changes in the economy associated with global competition, changing consumer preferences, job losses, availability of a trained workforce, and technological change. What are the five components? • Organizational development. Someone has to lead economic development efforts, and it’s almost always a local government, a local business group like a Chamber of Commerce, or a public-private partnership. Leadership is important, especially from the mayor. Successful cities also have a shared vision of where they want to go and of what things residents and businesses value in their city. In other words, the entire city has to organize for economic development. • Infrastructure development. When a city rebuilds or renews its physical infrastructure, it almost guarantees that the local business climate will improve, and it’s absolutely critical for the redevelopment of distressed neighborhoods. Infrastructure is the support system needed for delivering goods and services. • Business development. The municipality and its partners must work to help existing local businesses get stronger and grow and to attract new businesses and residents. • Workforce development. A municipality has to try to make sure there are enough workers with the right skills for its businesses. Education and job training are usually the responsibility of universities in the US, often with financial support from the federal or state governments and local businesses. • Municipal cash flow development. One of the measures of successful economic development is how much more money it brings to a municipality, either new investment, or tax revenues from higher incomes and higher property values, or land sales, or value capture, and so on. Again, I would argue that this is the overall framework that just about every American city uses to exploit economic opportunities and guide economic growth. Different cities have different needs and different capacities. 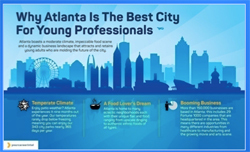 Each city will have a different vision for the future based on its size and strengths. Consequently, each local strategy will be different. But, remarkably, all 51,000 cities in the US think about spatial/economic development planning in the same way. I consider this to be modernization in action in the US. As we speak, thousands of cities in the US are trying to position themselves for economic advantage using this framework. Obviously, as we said, not every city can win, but this, I think, accurately describes the competitive environment for spatial development and economic growth in the US at the local level. In closing, I hope this gives you a sense of spatial planning and development in the US. Spatial planning and development plays an important role in supporting economic growth and helping determine the direction that modernization takes in the US. * This article is adapted from a series of six lectures delivered by City Mayors’ Senior Fellow Tony Favro at Smolensk State University in Russia in November 2018 on the theme: Modernization and Spatial Planning and Development in the US. 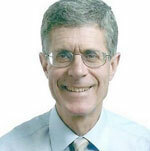 The lectures were supported by a grant from the Fulbright Specialist Program. The Fulbright Program, founded by the late US Senator William J. Fulbright and sponsored by the US government, fosters mutual understanding between people of the United States and other nations through educational exchange. The Smolensk lectures explained that the spatial planning and development process in the US effectively circumscribes how an American city can be governed and the choices a mayor can make regarding physical and economic development, the distribution of resources, social interactions, and other aspects of daily life in urban areas. Cox, K. The Politics of Urban and Regional Development and the American Exception. (Syracuse University Press: Syracuse, 2016). Feldman, M., Hadjimichael,T., Kemeny, T., Lanahan, L. “The logic of economic development: a definition and model for investment.” Environment and Planning C: Government and Policy, volume 34, 2016, pages 521. Forman, M., Mooney, J. “Learning to Lead: A Primer on Economic Development Strategies.” (Washington State, Office of Trade and Economic Development: Seattle, 1999). Molotch, H. “The City as a Growth Machine: Toward a Political Economy of Place.” American Journal of Sociology, vol. 82, no. 2, September 1976, pp. 309-332. Wisconsin Economic Development Institute, Inc. “A Guide to Preparing the Economic Development Element of a Comprehensive Plan.” (WEDI: Madison, 2003).